I have a new (to me) brand to show you all today. I received these a while ago, but lost them. In doing some Spring cleaning in my daughter's room, I found she is a little magpie and had a stash of my pretty sparkly polishes hidden in her room. I have a lot of back log to catch up on. She was a busy little girl. The brand I have to show you all today is Bella Bosio. 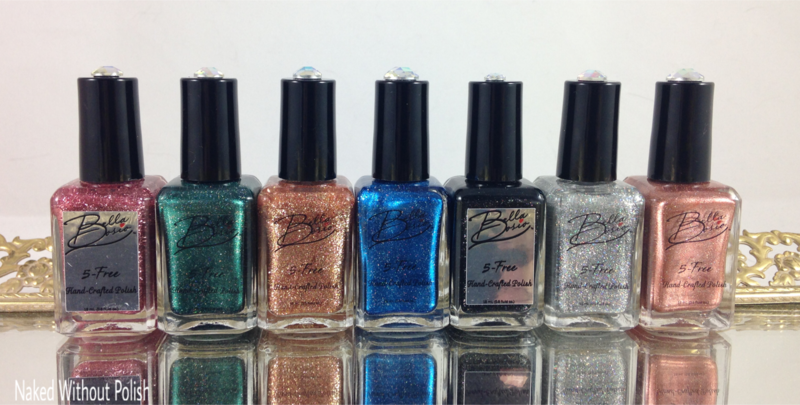 Bella Bosio is a 5-Free indie brand that makes nail polish and jewelry. Her polishes are mostly glitter based because she uses them in the jewelry as well. However, she recently released some pastel creams for spring that are completely different than anything else in her shop. I'm definitely eyeing them! 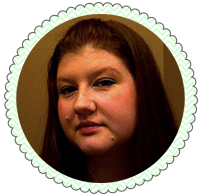 Keep reading to get a look at some of the basics of her shop! 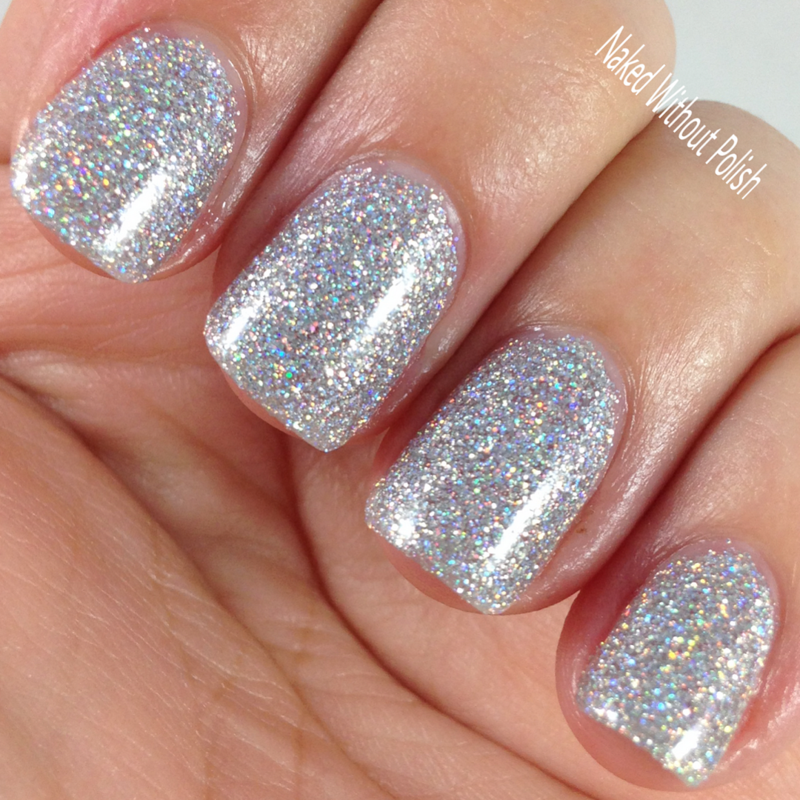 Crushed Diamonds is described as "a clear base with holographic silver micro glitter". 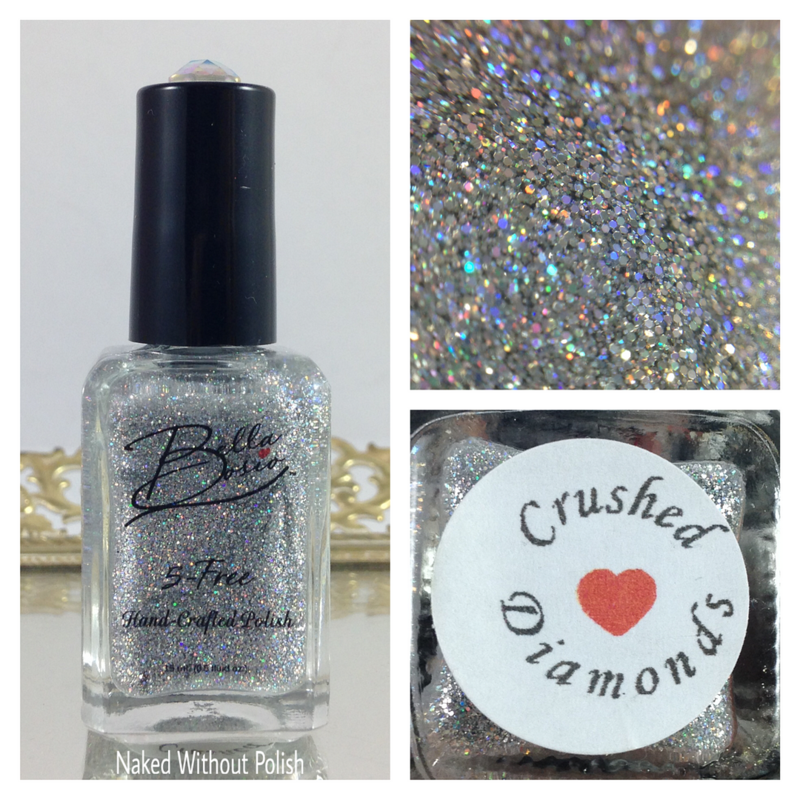 Shown is three coats of Crushed Diamonds with top coat. Crushed Diamonds had a smooth application despite all the glitter. 2-3 coats is necessary for full coverage. This beauty is a must have for every collection. Great on its own, as a topper, as an accent nail, or even as the base for some nail art. I didn't get pictures of it because it wasn't fully dry so it got all wonky, But I played around with some sharpies on this after I took these pictures. SO MUCH FUN! Definitely doing that again at a later date for a manicure. It just needs to be fully dry. Also available in a set with the matching earrings for $22. 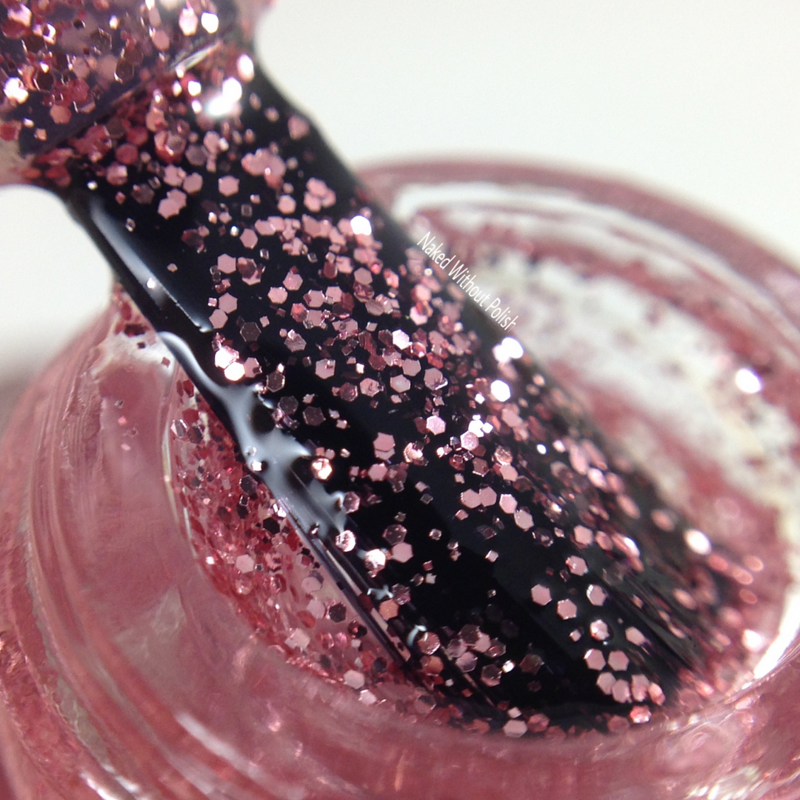 Pinky Promise is described as "a clear base with light pink metallic micro glitter". Shown is three coats of Pinky Promise with top coat. 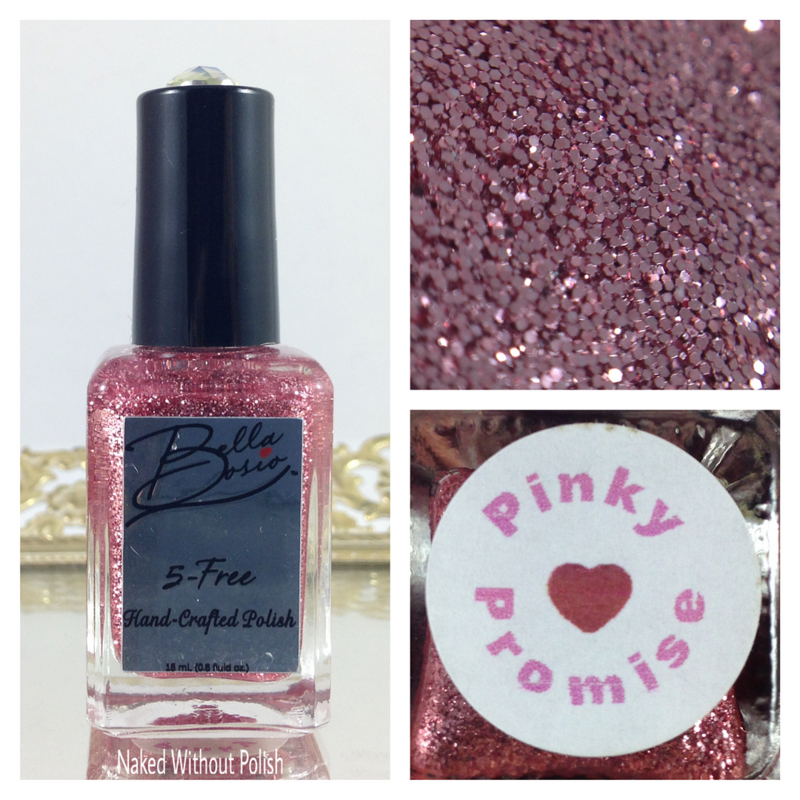 Pinky Promise is another must have for any collection. 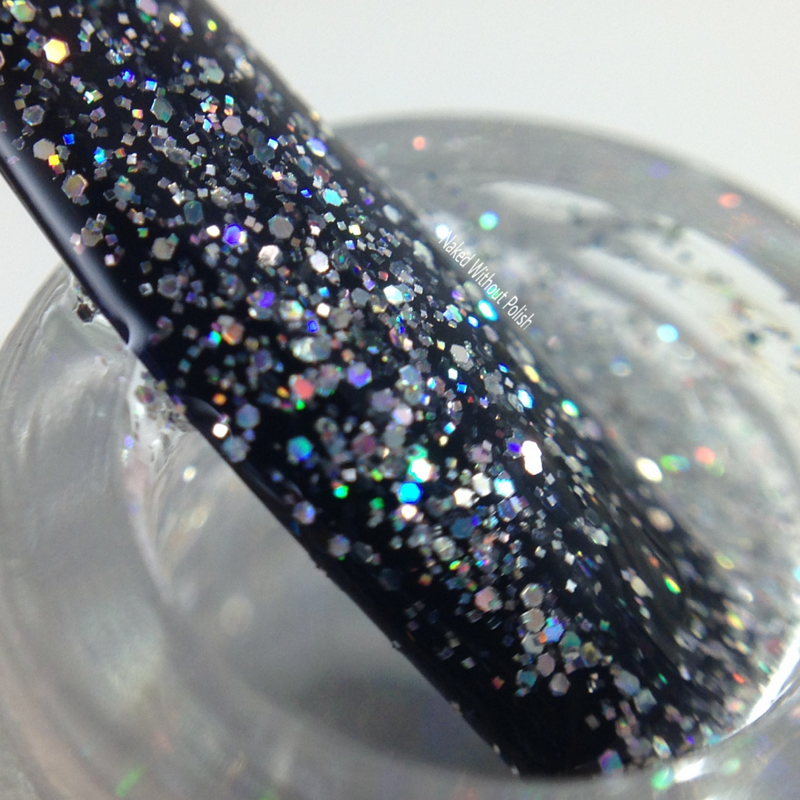 It's fun on its own, as a topper, layered with other micro glitters...your possibilities are endless. Great application, but definitely use 2-3 coats to ensure full coverage. 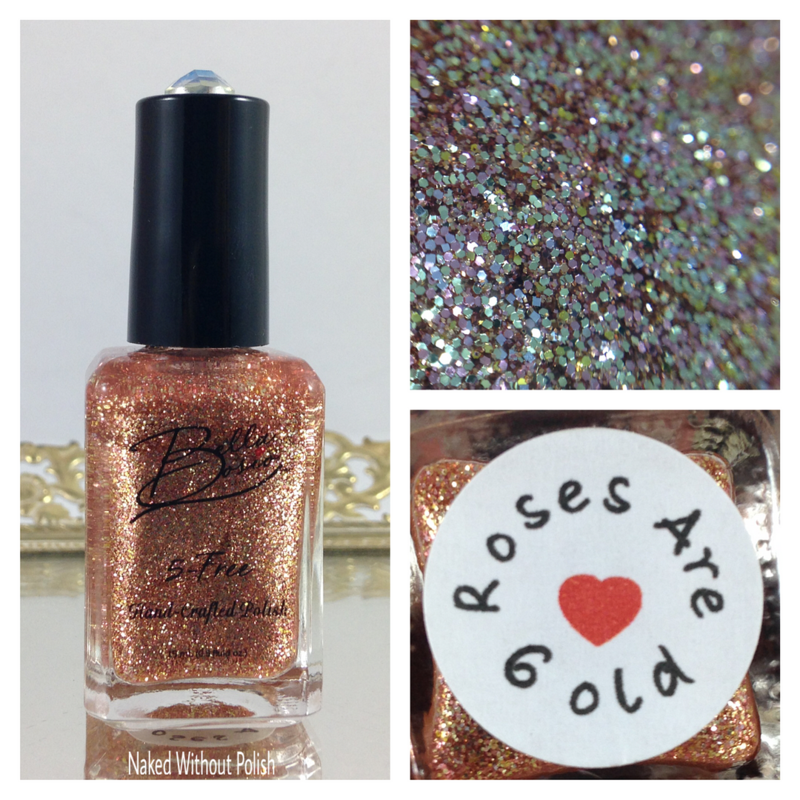 Roses are Gold is described as "a clear base with metallic micro glitter in gold, light pink, and silver". Shown is three coats of Roses are Gold with top coat. Roses are Gold is another lovely basic. She did a beautiful job packing these with glitter so they wouldn't require 4-5 coats. I love her formulas. They apply smooth and don't seem to get gritty after adding top coat. 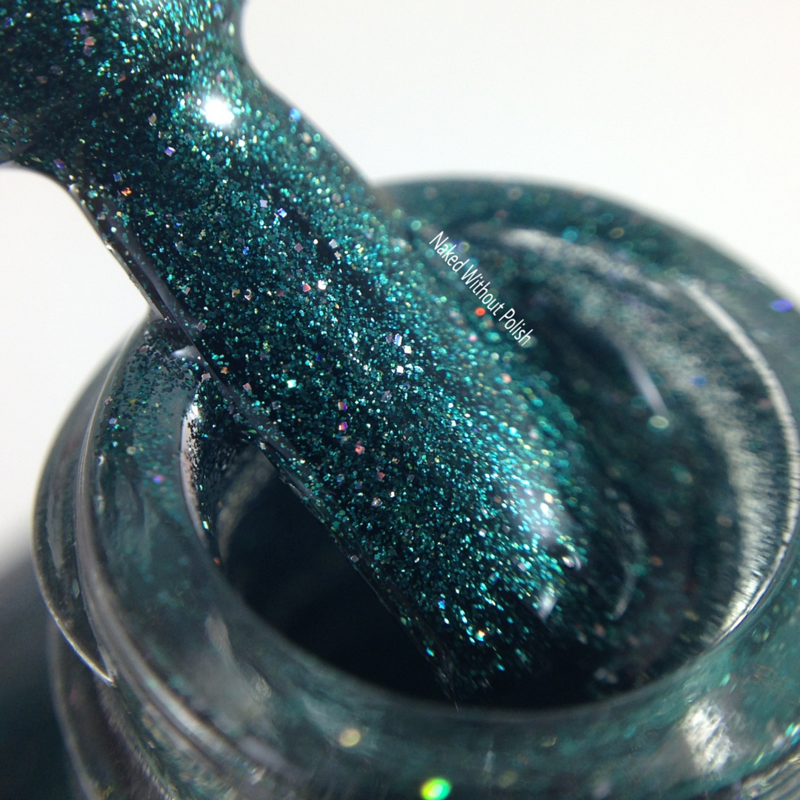 Majestic Forrest is described as "a metallic forest green polish with super small holographic specks". Shown is two coats of Majestic Forrest with top coat. 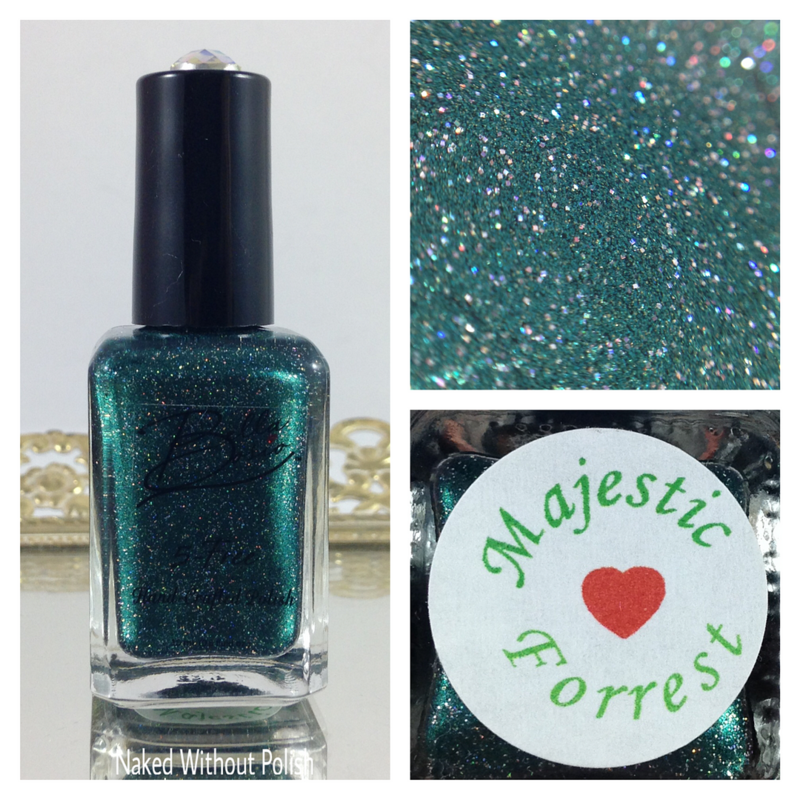 Majestic Forrest is an enchanting shade of green. A deep emerald that you can get lost in. Perfect formula and application. 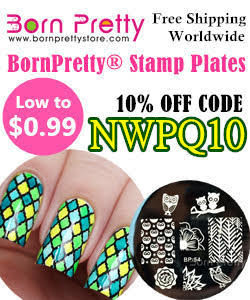 You ladies that do stamping and nail art, this is begging to be the base for something fun! 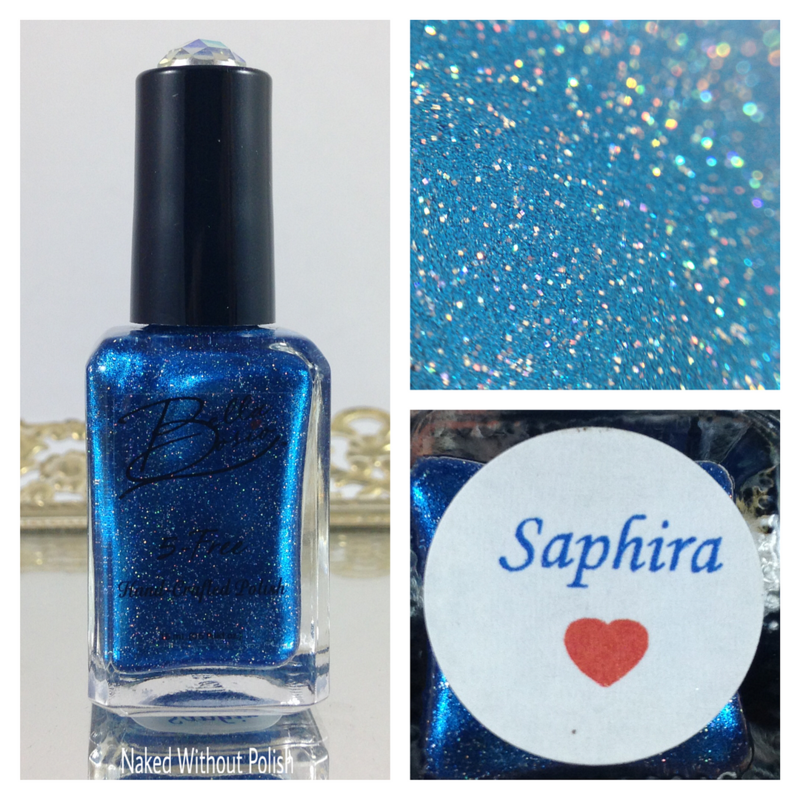 Saphira is described as "a medium metallic cobalt blue with tiny specks of holographic glitter". Shown is two coats of Saphira with top coat. 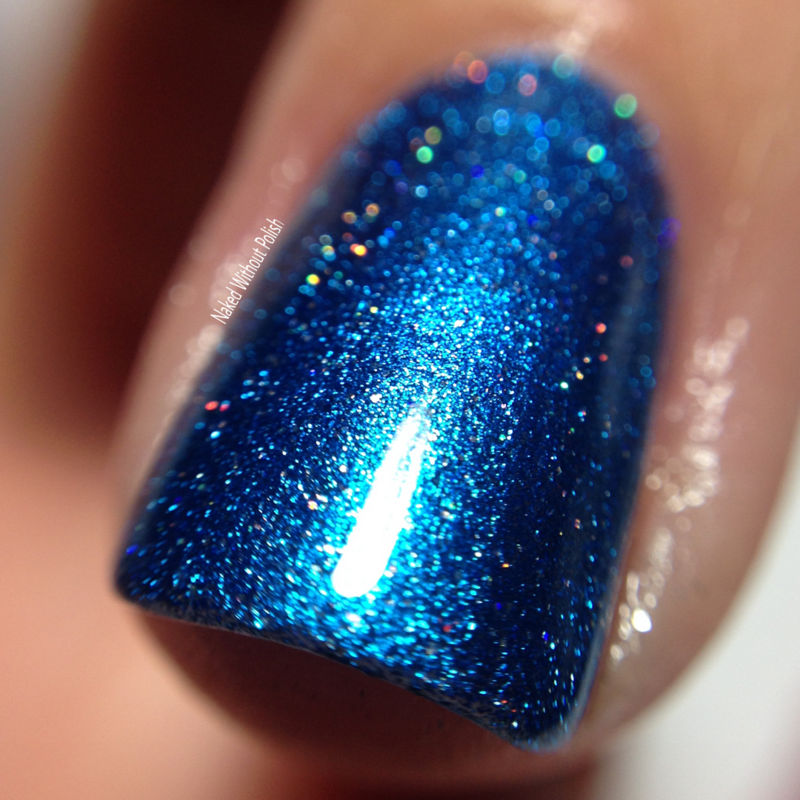 Saphira has the same beautiful formula and application as the previous polish. This beauty seems to have a hidden blue flash that comes to life in the right light. 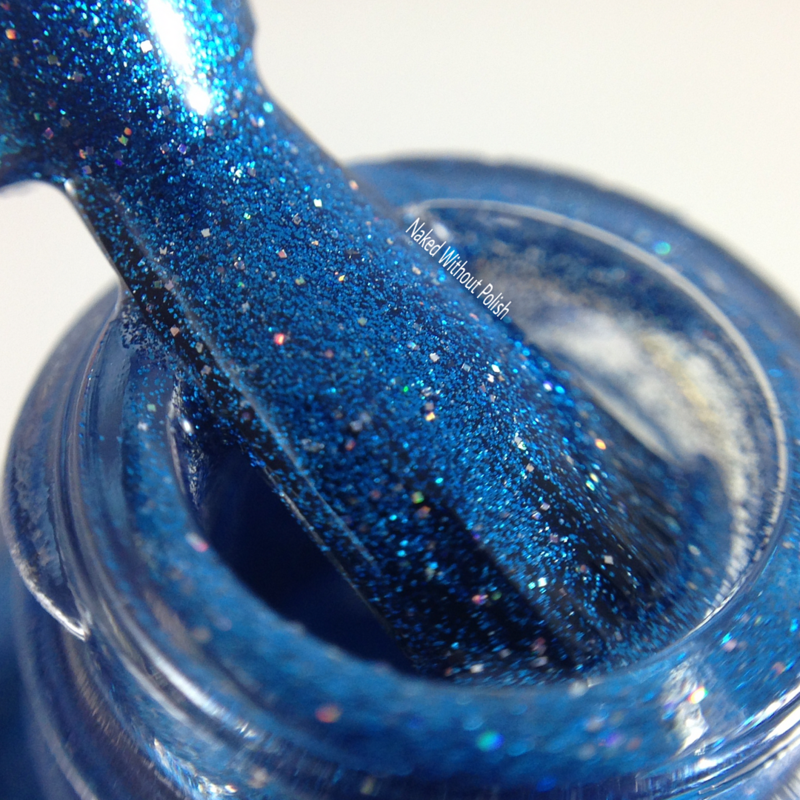 If you're a blue lover, this is the polish for you! 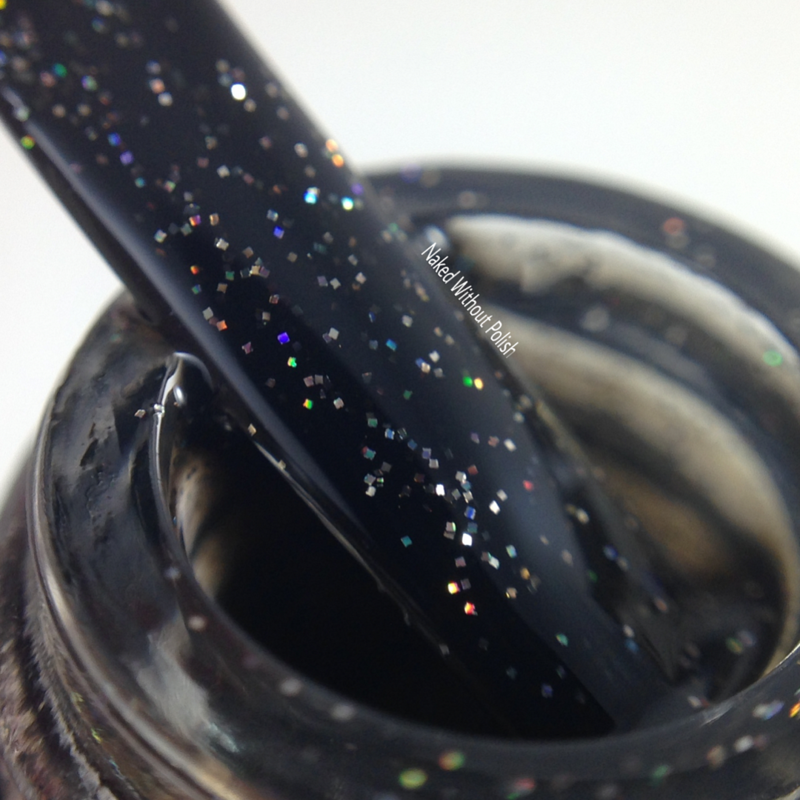 Galactic Rush is described as "a deep black polish with specks of holographic micro glitter". Shown is two coats of Galactic Rush with top coat. 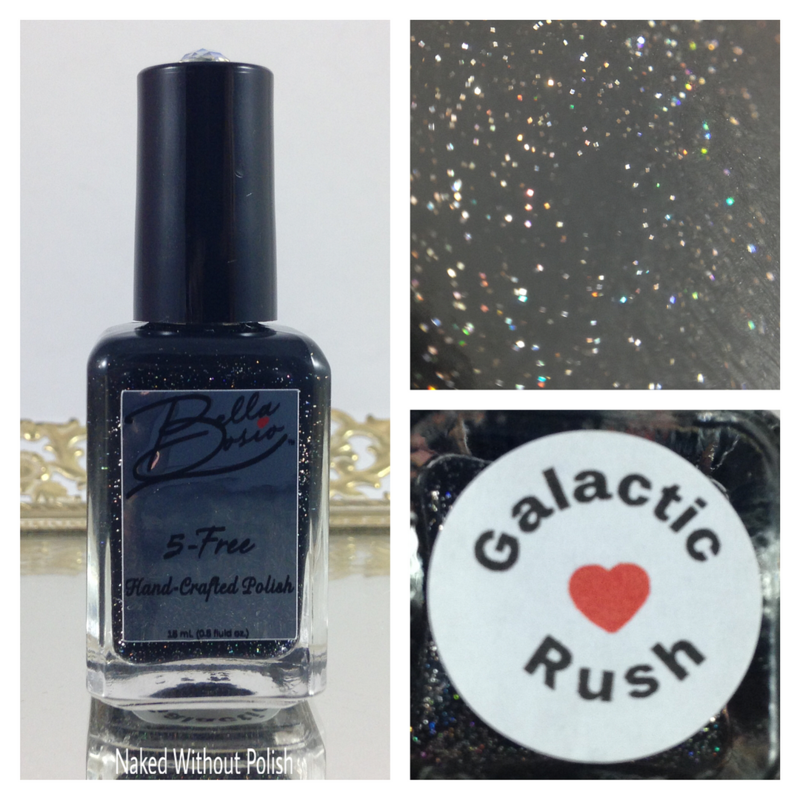 Galactic Rush is like the night sky in a bottle. Smooth and flawless application. Those of you who might be intimidated by galaxy manicures but want to try it, this is the perfect polish to use as a base for one. 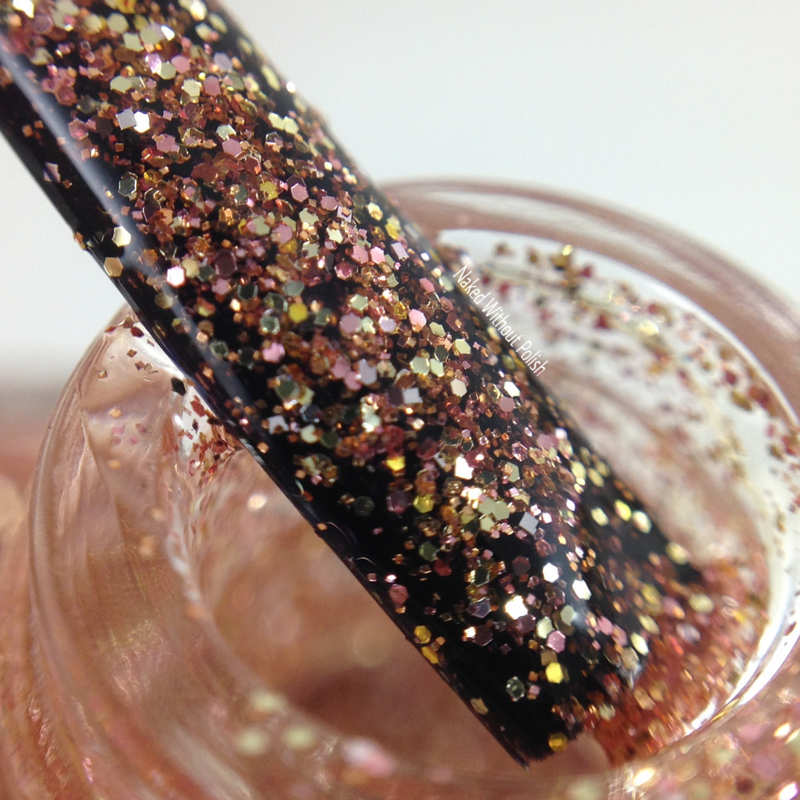 Rosegold Mine is described as "a metallic rosegold polish with specks of holographic micro glitter". 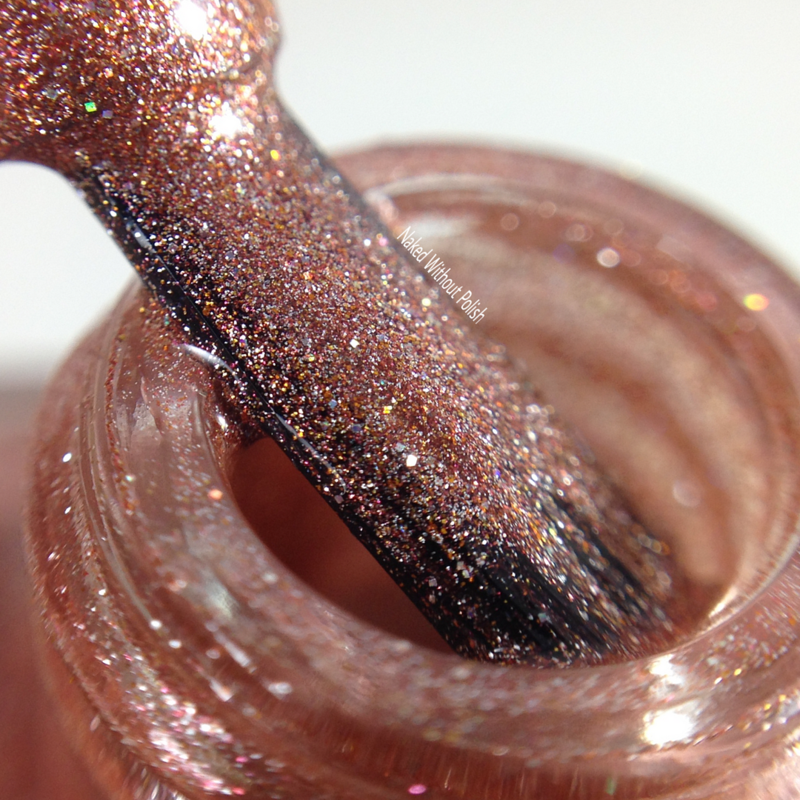 Shown is two coats of Rosegold Mine with top coat. 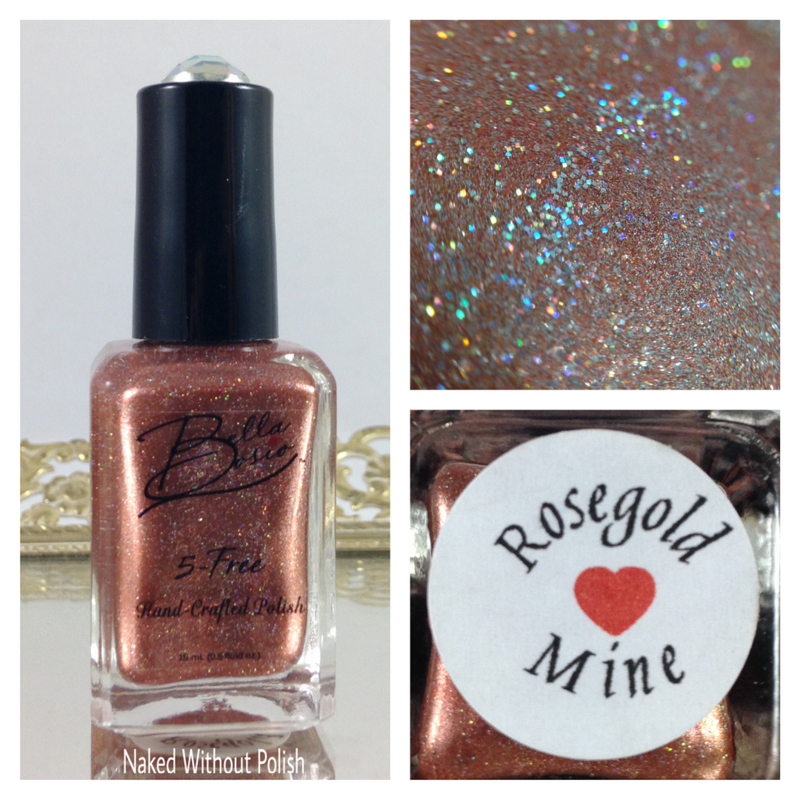 Rosegold Mine is a dream! I've been on a gold and rosegold kick lately, and this beauty is enough to satisfy both of those cravings. There is a beautiful depth to this polish despite it being pretty opaque. 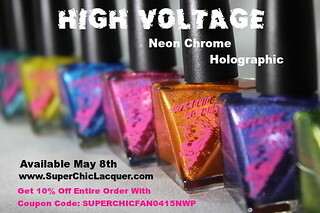 Holo or not, this is one beautiful polish. Rosegold makes me do a happy dance. All of these polishes, and more, are available now at www.etsy.com/shop/BellaBosio as is her jewelry. The earrings range from $5 - $10 and comes in 3 different sizes. 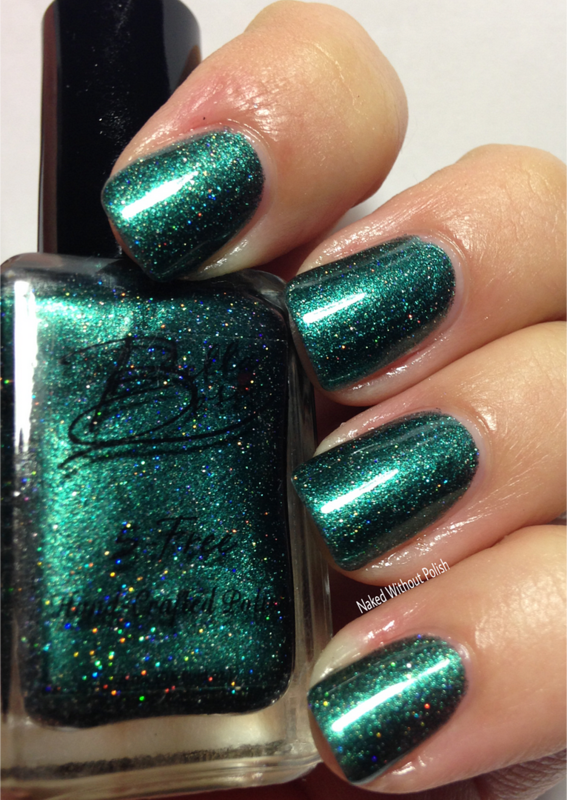 Bella Bosio polishes are all $14. She even sells some of them in sets (polish and matching earrings) for $22. I think those sets would make fantastic gifts, and they won't break the bank! She's only been around since July 2015. I can't wait to try more from this brand, and see where she goes. What are your thoughts on these? Have you tried Bella Bosio before?